Your baby goes through significant physical and mental development from birth to six months. At this stage, a well-supported immune system is vital for your baby’s growth, as well as ingredients such as fish oil to support brain development. 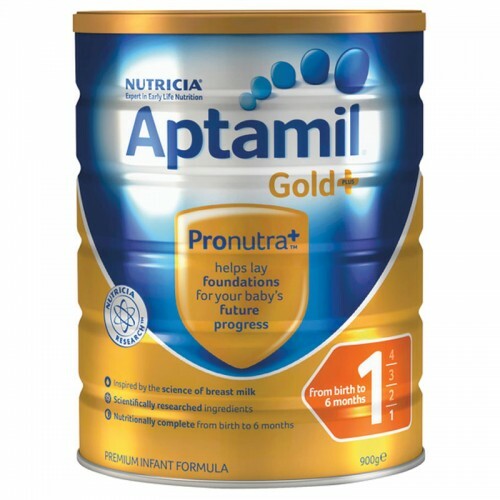 Aptamil Gold+ 1 Infant Formula is a nutritionally complete premium infant formula designed for babies from birth to six months of age if not being breast fed or as part of mixed feeding. Backed by 30+ scientific research papers. Aptamil Gold+ ARRegurgitation or reflux: 0-12 monthsAptamil Gold+ AR is a thickened infant fo..